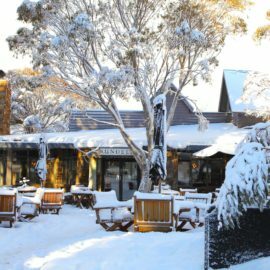 Omeo is at the gateway to Victoria's highest ski resort, Dinner Plain and Mt Hotham. All roads lead to Omeo. 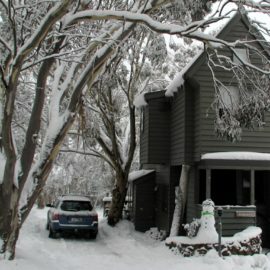 Set high in the Great Dividing Range, Omeo is a picturesque town that is engrained in the history of the High Country. Follow the Great Alpine Road through to Gippsland and it will take you on a tour of beautiful farm lands, crystal clear rivers and through untouched bushlands with spectacular vista views. Upon arrival Omeo will take you back to a magical past. Absorb yourself in Australian folklore and local history as you recall the excitement of the gold mining era and explore historic huts, relics and ghost towns. See where the mountain cattlemen of old ran their stock and penned some of Australia's best known poems. Sit back and listen to the sounds of the bush, watch the wildflowers sway in the gentle breeze as the wild brumbies gallop past and keep an eye out for the wildlife as you take have a beer with the locals by the open fire at a local pub or meander around one of the many galleries, bookshops or wineries. Enjoy some old fashioned high country hospitality with good food and great coffee or stop by the country horse racing to back a winner.